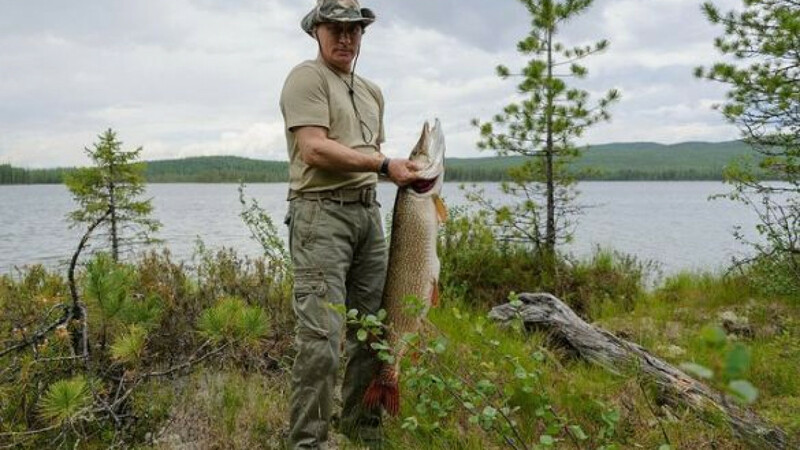 Putin proudly holding up a fish he caught in the Krasnoyarsk region in July. WASHINGTON — In April 2011, then-Prime Minister Vladimir Putin was asked an unusually flattering question by an American journalist: "Are you the coolest man in politics?" The interview, which ran on the website of Outdoor Life magazine, was set up by Ketchum, the U.S. public-relations firm that has worked to burnish Russia's image since 2006. Last week, Ketchum scored another public-relations coup: It helped place a Putin commentary in the opinion pages of The New York Times, just as representatives from Russia and the U.S. were beginning to meet in Geneva to negotiate a plan for Syria to give up its chemical weapons. The article made quite a splash in Washington. Putin painted himself as a peacemaker and lectured the U.S. for what he said was a tendency to use "brute force" in world disputes. U.S. House Speaker John Boehner said he was "insulted" by the article, while the White House noted that Putin was taking advantage of press freedoms unavailable in Russia. Ketchum, a division of the Omnicom Group, has earned more than $25 million working for Russia, according to documents filed with the U.S. Department of Justice. 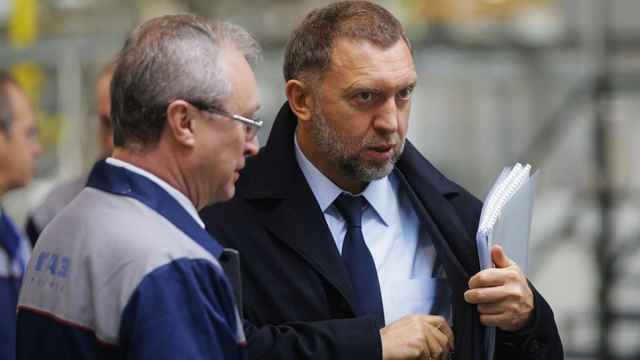 It also has been paid more than $26 million since 2007 to promote Gazprom, Russia's state-owned gas company. In 2007, Ketchum successfully lobbied Time magazine to name Putin its "Person of the Year," according to U.S. Justice Department lobbying disclosure filings that show repeated meetings between Ketchum representatives and Time staffers. "He expanded his outsize — if not always benign — influence on global affairs," Time wrote of Putin. Meanwhile, Ketchum staffers urged the State Department to soften its assessment of Russia's human rights record that year, according to lobbying records. The company has also reached out to reporters who have written articles chronicling Russian human rights abuses. Russia's efforts to boost its image in U.S. media outlets have come as the country has cracked down on human rights at home. Ketchum also has encouraged reporters to write about Russian trade summits, technology companies, golf and wrestling, as well as the 2014 Winter Olympics in Sochi. In response to questions, Ketchum replied with a general statement, saying that its work with the Russian government has focused on "facilitating the relationship between representatives of the Russian Federation and the Western media and creating a broader dialogue." Putin, who started his career in the KGB, returned to the presidency last year after four years as prime minister and an eight-year stint in the Kremlin from 2000 to 2008. Since his return, Russia has passed laws that, to many in the U.S., have seemed to echo policies from the Soviet era of rigid government control of citizens' daily lives and that have created public relations challenges for Ketchum, Russia's promoter in America. 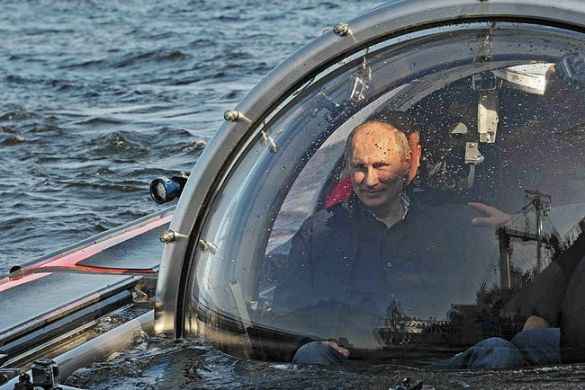 Putin riding in a submersion tank to visit a sunken ship at Gogland Island. Putin has supported laws that restrict public protests, put limitations on nongovernmental groups and make it easier for authorities to censor the Internet in Russia. Russian media outlets have been pressured to fire editors and reporters who criticize the government, according to the U.S. State Department. Anna Neistat, an associate director at Human Rights Watch, questioned whether it was appropriate for a U.S. company to advance the interests of a client that restricts human rights at home. "An American company that does operate in a fairly free democratic society should probably think twice before supporting something like that," Neistat said. "From a personal perspective, I, of course, find it quite appalling." Ketchum has done substantial work for the U.S. government and came under some criticism in 2004 for producing prepackaged news stories that did not disclose that they were government-funded. Ketchum also has faced criticism for placing pro-Russian opinion pieces by seemingly independent writers in a range of U.S. media outlets, according to ProPublica, an investigative news organization. Other Ketchum clients have included FedEx, Absolut, Mattel and Sony. Foreign governments are a substantial business for U.S. lobbying and public-relations companies, industry analysts say, and there is nothing illegal about representing countries that have less-than-stellar human rights records as long as the companies provide detailed reports of their activities to the U.S. government. "This is a very appropriate activity and one that helps advance peace and justice," said Roger Bolton, president of the Arthur W. Page Society, an association of public relations executives. 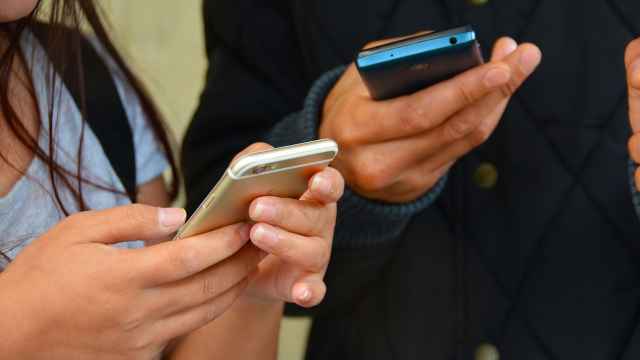 "When public relations firms advise clients, they invariably advocate for the importance of listening to and accommodating others' views," he added. That appeared to be part of the goal of Putin's opinion piece in The New York Times. Putin said the Syria crisis had prompted him to "speak directly to the American people and their personal leaders," but the article seemed to anger key parts of his audience. Putin said the U.S. should work through the to respond to a chemical attack in Syria last month that the U.S. said had killed more than 1,400 people. Putin's article did not mention that Russia has blocked the United Nations from taking action against Syria, an ally of Russia. Putin suggested that Syrian rebels, rather than the government of President Bashar Assad, were responsible for the chemical attack. Putin challenged U.S. President Barack Obama's assertion that the U.S., as an "exceptional" nation, had a responsibility to take action against Assad for using chemical weapons. "It is extremely dangerous to encourage people to see themselves as exceptional," Putin wrote. That drew a sharp response from the White House. "Russia offers a stark contrast that demonstrates why America is exceptional. 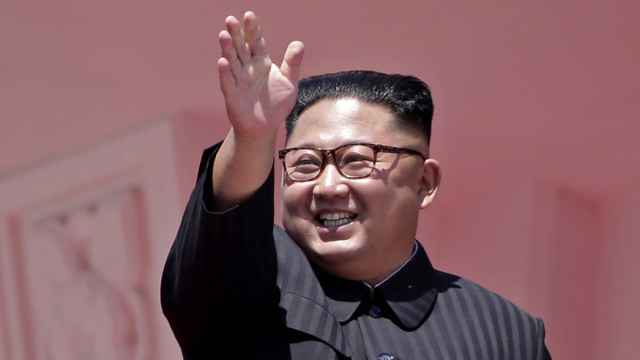 Unlike Russia, the U.S. stands up for democratic values and human rights in our own country and around the world," White House spokesman Jay Carney said. While Boehner, the top Republican in Washington, said he was "insulted" by Putin's article, other U.S. lawmakers also weighed in with biting criticism. Several foreign policy analysts questioned whether Russia's efforts through Ketchum were worth the money. "Russia pours lots of money into these arrangements, all aimed at dealing with an image problem in the West. 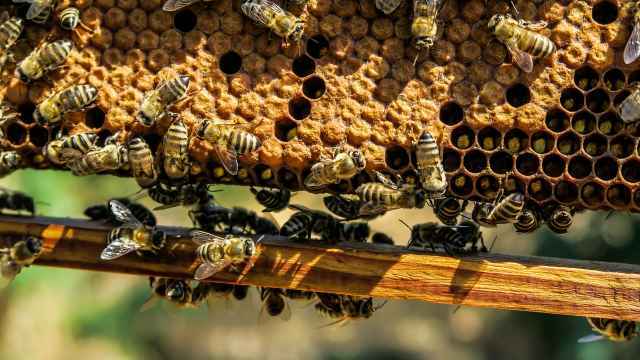 But it's unclear to me if there's much return on investment," said Andrew Weiss, a Russia specialist who served under presidents Bill Clinton and George H.W. Bush.